Home / Is avoiding saying no keeping you from saying yes to what matters? It doesn't matter what you do in work or life everybody is plagued by this challenge, most people find it terribly difficult to say no even when it's what they need the most. It doesn't matter if you are in sales, a parent, nurse, or trash collector every job in life serves people in one way or another. Sometimes, we get the idea of serving and self-sacrifice twisted in such a way that we believe putting ourselves second at all costs is the noble and perfect thing to do. Well, it is super admirable and a great asset to think of others before yourself at times but when you make a habit of doing this you end up having less energy, less peace of mind and less time for the things that actually matter. When this happens you go from being a happy helper to a disgruntled burnout because you are not honoring your right to say no. There are many reasons people have a difficult reason saying no but one of them is the feeling of missing out, another one is the guilt. 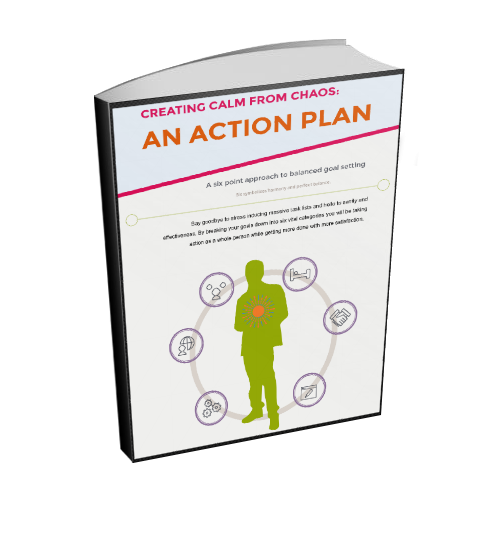 If you are left feeling tired from too many extra obligations it's time to cut back. If you're feeling overburdened by the amount of things you have to do on a day-to-day basis there is usually room in there to cut some things out. This is something I have been working on myself; we are all susceptible. You have been on a committee or volunteered to do something and you know in your heart that putting energy and time into that activity is no longer serving you, it may have at one point in time but maybe you've outgrown it, or perhaps you're in a different place. I've been guilty of over yessing myself many times. Don't view every one-time commitment as a lifetime commitment, it's just not the case. You may be reading this thinking YES, I am overextended but what the heck can I do? It's a great idea to take a look and make a list of some optional things you have opted into and see which ones you can realistically cut out of your life. It isn't always easy, but even cutting one extra elective obligation out of your life can really decrease your stress level. You can always opt back in down the road; make a change and see how you feel. We only have so much energy and resources in our one physical body, spreading, things so thinly makes the things that matter most often take second position to the pile of other things we really have no business saying yes to. 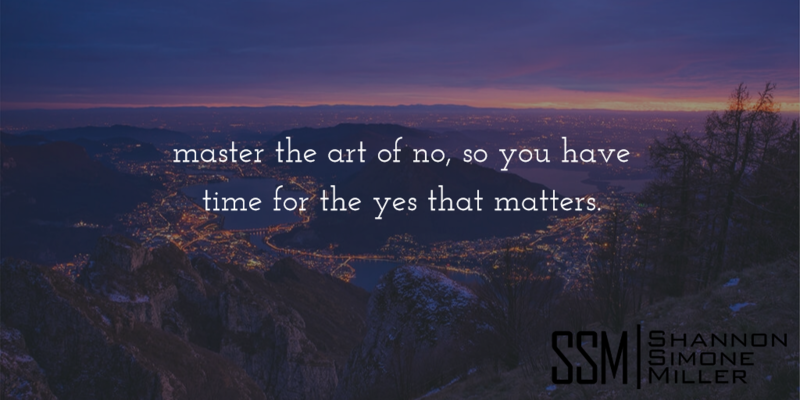 When you learn to say NO, you will have more time and energy for the YES that matters most!